Telus has announced that the phone will be available for pre-order at the end of July 2017, and once the phone has been released, will be sold online and in the carrier's physical stores. Customers will be able to buy it for the full price, or on select 'Your Choice' plans. Pricing was not announced, but you can pre-register on Telus' website to know when pre-orders start. It's important to note that the Essential phone will still be available unlocked from Essential's website, if you don't want to buy it from Telus (or use it on another carrier). TORONTO, ONTARIO--(Marketwired - June 15, 2017) - (TSX:T)(NYSE:TU) - TELUS today announced it will be the preferred Canadian carrier and retail partner of the new Essential Phone, available in store and online this summer. This premium smartphone is the first to come from Essential, the company recently announced by Android co-founder Andy Rubin. Canada and the United States are the first countries where the phone will be available. Canadians can pre-register on telus.com/essential now to receive the latest information about the Essential Phone at TELUS, including front-of-the-line access to pre-order and exclusive offers being announced in the coming weeks. The Essential Phone is expertly crafted using titanium and ceramic, and features an edge-to-edge full display and dual camera system that eliminates any 'camera bump' in the industrial design. It also comes with top-of-the-line specs and 128GB of memory. The Essential Phone will be part of a modular ecosystem of accessories, including the world's smallest 4K 360-degree camera. The 4K 360-degree camera, also to be available at TELUS, simply clicks onto the phone to easily point, shoot and share. "We selected TELUS as our preferred carrier partner in Canada due to our strong alignment on the importance of continuous innovation and support for consumer choice," said Andy Rubin, CEO of Essential. "We look forward to delighting Canadians with our premium crafted materials and powerful components." Rubin continued, "Our 4K 360-degree camera accessory creates immersive video and stills and allows Essential users to create VR content anywhere, anytime. I believe it is the beginning of a profound shift in the perspective of social media, news, entertainment, music, sports and fashion." The Essential Phone will be available for pre-order on telus.com at the end of July 2017, and online and in-store across Canada later this summer. Canadians can purchase the Essential Phone outright or on select TELUS Your Choice plans once it is available this summer. Pricing details will be shared in the coming weeks. 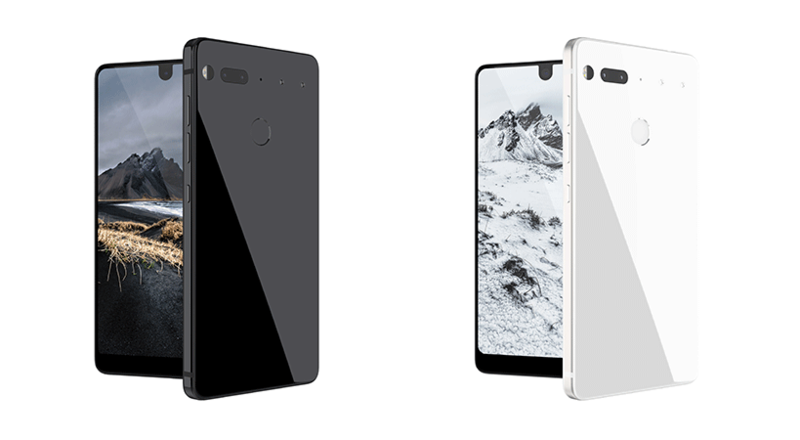 "We're excited to be the launch partner for the Essential Phone in Canada. We take pride in carrying the latest smartphones and technology, ensuring that our customers have the greatest selection of products to suit their lifestyle," said Dave Fuller, President of Consumer and Small Business Solutions at TELUS. "This partnership is another opportunity for us to do just that. We're very pleased to give Canadians access to this highly-anticipated device with its 4K 360-degree camera, all complemented by Canada's largest and fastest mobile network1 and our amazing customer service." For complete details on the Essential Phone at TELUS visit telus.com/essential. For more information on Essential Phone visit essential.com. 1 TELUS mobility measured fastest overall download speed among 3 national providers in the OpenSignal independent study State of Mobile Networks: Canada (Jan 2017). Data is collected from regular consumer smartphones and recorded under conditions of normal usage. Measurements were collected from 15,272 users during the period: Oct 1st - Dec 31st 2016. Your experiences may vary.